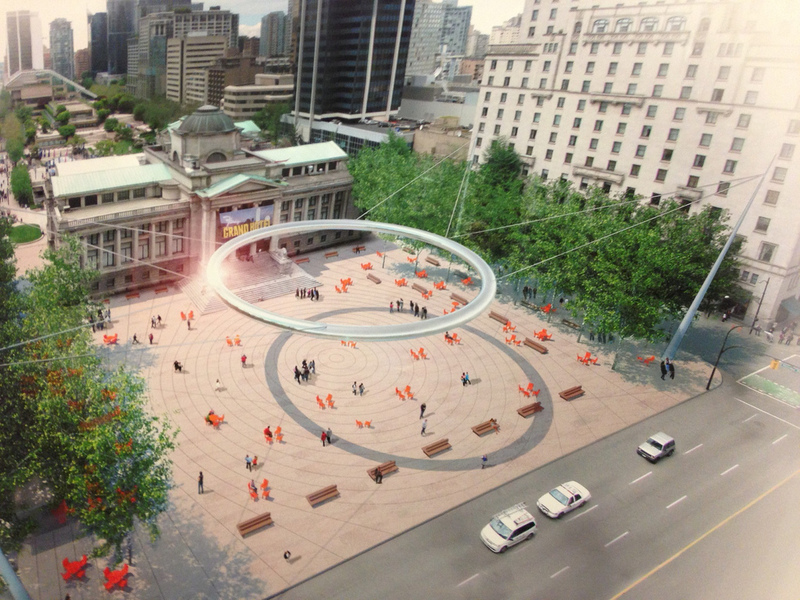 Vancouver Art Gallery North Plaza – VPSN most recently participated in the City of Vancouver consultation about the future use of the Vancouver Art Gallery site, including the North lawn, the current de-facto democratic gathering space in the City. We successfully advocated against moves to further harm the continuity of the site with placements of objects which would hinder it’s use as a mass gathering space. Last Candidate Standing – In 2011, the VPSN and UBC’s School of Architecture + Landscape Architecture produced Last Candidate Standing, a political debate held as part of the VPSN’s Vancouver Votes initiative. Thirty candidates participated in the event – a mixture of folks running for either the Mayor’s job or a seat on Council. Participants from all the major parties were in attendance, as was a healthy assembly of independents (we like to think that Last Candidate is one of the most inclusive election events around!). Round One saw groups of three candidates randomly selected and invited to the stage . 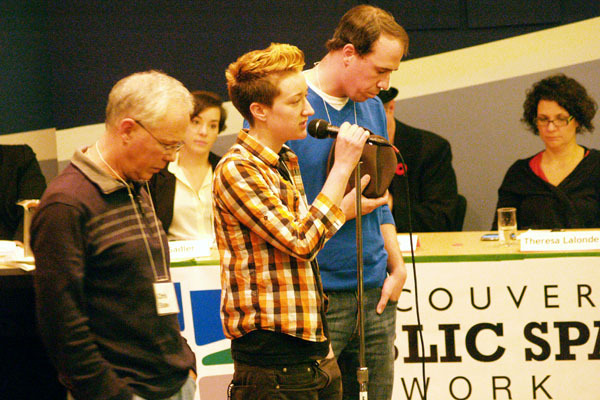 Candidates were then given a question by the Panel of Inquisition – Matthew Soules (UBC), Alissa Sadler (VPSN), David Beers (The Tyee) and Theresa Lalonde (CBC). The best two answers earned a pass to Round Two, where the process was repeated with groups of four. The number of contestants was reduced each subsequent round… until there was only one “Last Candidate” remaining. Vancouver Votes -The goal of Vancouver Votes is to help Vancouverites make an informed decision on the municipal election by offering an independent source of information on the election. The Vancouver Votes website assists voters by introducing the candidates for Mayor, Council, and Parks Board, and highlighting their respective positions on a range of civic issues. The site also provides general information on the electoral process and regularly updated links to election-related media coverage. The 2011 civic election campaign marked the return of the Vancouver Votes website, which debuted to an enthusiastic response during the 2008 election.